Kirkus Reviews named Midnight, Kevin Egan's first diabolically twisty legal thriller, a "Best Book of 2013." 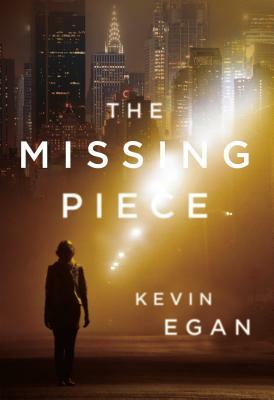 Now Egan returns to the bench with The Missing Piece, an all-new tale of courtroom intrigue, legal maneuvers, deception, desperation…and cold-blooded murder. The Salvus Treasure is a fabulous hoard of ancient Roman silver, worth a total of seventy million dollars. Uncovered decades ago under disputed circumstances, the treasure has been claimed by various parties, some of whom will stop at nothing to secure full ownership of its riches. People have died—and killed—to possess all fourteen pieces of silver. The legal battle over who truly owns the treasure finally leads to the New York County Courthouse in Lower Manhattan. But as teams of high-priced lawyers wrangle over provenance and witnesses, a shocking act disrupts the trial…and a crucial piece of evidence goes missing. The missing piece is a silver urn worth at least five million dollars. Now the race is on to discover what became of the urn…before the Salvus Treasure claims more lives. Kevin Egan graduated with a B.A. in English from Cornell University. He is the author of more than five novels, including Midnight and Local Knowledge, and numerous short stories. A self-described non-practicing attorney, he has spent his entire legal career working in the New York state court system, including lengthy stints as law clerk to two State Supreme Court Justices. His short fiction has appeared in Alfred Hitchcock Mystery Magazine, Rosebud, and The Westchester Review. He occasionally teaches fiction writing as an adjunct instructor at Westchester Community College and regularly teaches legal writing at Berkeley College in Manhattan.